If you’ve been thinking about buying a baby carrier, chances are you’re feeling massively overwhelmed by all the carriers on the market. How are you meant to find THE ONE? Don’t worry – there’s a way. Some carriers look great, but aren’t that comfortable to wear. Others are comfortable, as long as your baby isn’t too small or too chubby or too long or too old. And let’s face it, a baby carrier is a significant purchase in your getting-out-and-about arsenal. You certainly don’t want to have to make the decision (and the purchase!) more than once. How do you find the perfect baby carrier? What every parent really needs for easy and quick trips out is one baby carrier that ticks all the boxes. It needs to accommodate babies of all different ages and body types. It needs to be hip-healthy so you know it’s a safe ride – and it needs to be easy on your back no matter how big your baby gets. 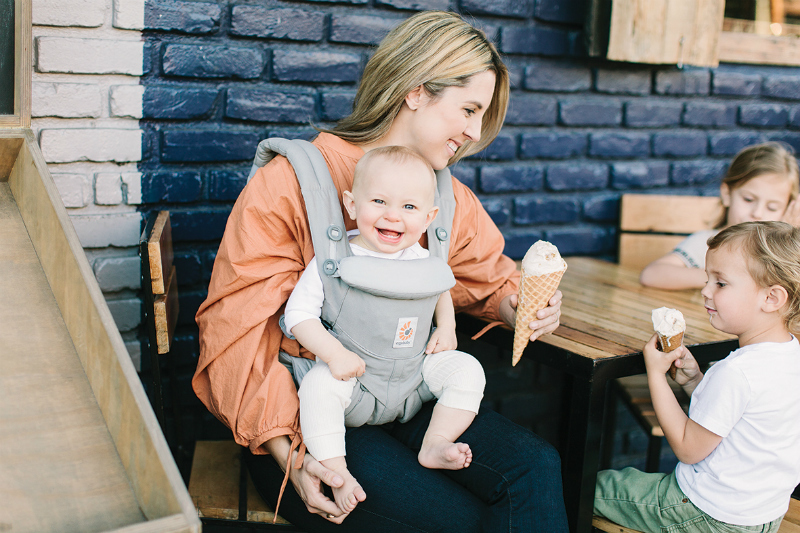 We think we have finally found this elusive carrier – it’s the brand new Ergobaby All Position Omni 360 Carrier. 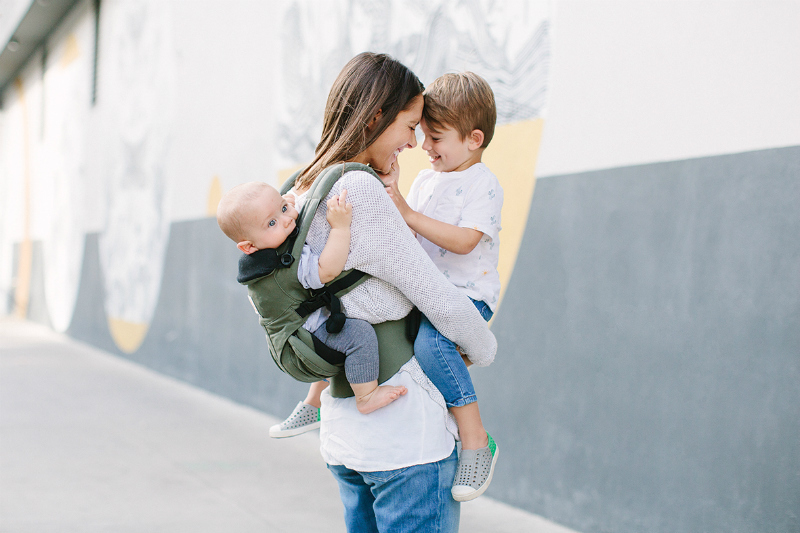 The Omni 360 has been developed after listening to customer feedback on Ergobaby’s previous carrier range, and it takes all the best features of the popular 360 and Adapt Carriers to create the ultimate baby carrier. The Omni 360 is an ergonomic all-in-one carrier that’s comfortable for parents and babies from newborn to toddler (3.2-15kg). Not only that, but it also offers all the carry positions – back, front and forward facing – and doesn’t require a separate infant insert for newborns. Part of what makes the Omni 360 such a good carrier is how easily adjustable it is. In forward-facing mode, it’s easy to switch your baby around on the go – from front-facing to chest-facing, which is perfect for nap time on the go. You can also adjust the head support level for newborns, as well as the height and width of the baby’s seat, making this a carrier that really does grow with your baby. For the wearer, the shoulder straps can be crossed over, giving better fitting options for all different shapes and sizes of parents. And the buckles are all at the front, so there’s no awkward twisting of your arms trying to reach across your back to adjust the straps. We also love the detachable “adventure pouch” that lets you keep essentials, like your phone and keys, within arm’s reach all the time. Because the All Position Omni 360 Carrier is brand new to the market, it even has a special introductory price of only $269 until the end of November. Check out Ergobaby for more information or to find a stockist near you.